Since the summer of 2017, cryptocurrencies have seen an incredible growth. They reached their peak in December 2017 when the Bitcoin price reached over $19,000 US dollars. This growth made mining by using graphics cards very profitable and therefore they flew off the shelves all around Europe, America, Asia and even Australia. Moreover, there are big investors jumping into the mining game and getting every graphic card that they can get their hands on. How Tricky can it be? The price of cryptocurrencies goes up and down the whole time and this kind of trading is only suitable to those who follow every single step of the price curve if they want to make some profit. This means that the price can go way up or way down in just a few hours and nobody can predict it. Let’s go back to mining and see how that process plays out. The graphics processor does calculations so that they can solve the next block in the blockchain and verify other people’s transactions. Or in other words, it helps shift cryptocurrency around the world as it is exchanged. At the moment, an average mining card can make around $50 US dollars per month while spending around $5-10 US dollars for electricity. This makes mining very profitable for small and large investors who invest more than 100 million US dollars. While the largest mining operations are in China, both Canada and Europe and even the U.S. are quickly gaining grounds and building their mass mining operations using both graphic cards as well as special hardware designed for mining. What Types of Problems pop up? Manufacturers have recently recognized this and have taken steps to help gamers with their graphics processors for gaming purposes instead of mining. 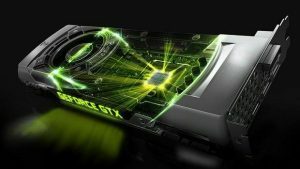 For example, Nvidia, one of the major manufacturers of graphics chips, have put out a recommendation for retail stores to limit the number of cards a single person can get to 3. However, most miners get around 6-12 per batch and larger investors get all they can get their hands on. AMD is another major manufacturer and had promised that they will keep up with the production of the chips and told shareholders that they will ramp up the production to satisfy this new and fast-growing market. Gamers have the biggest problem with this whole situation as the prices of graphics cards doubled and all major gaming portals on the internet advise gamers not to buy graphics cards at this time. Since the prices of cryptocurrencies have dropped in February and March, prices of graphics cards have dropped by around 30% and are still expensive. Next Post Next post: Where are Google Data Centers Located? Where are Google Data Centers Located?